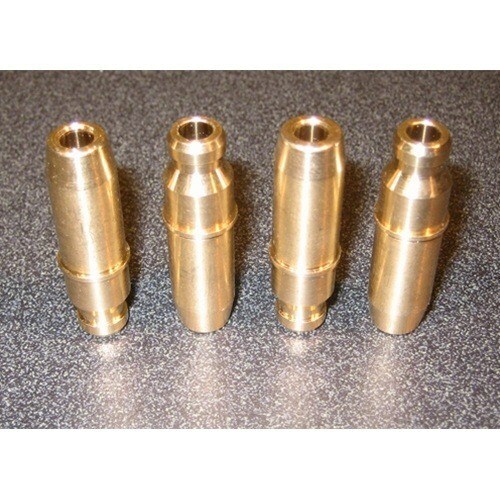 APE bronze valve guides are used by all leading cylinder head shops. These guides are designed to sit lower in the cylinder head to clear all available high performance camshafts. APE guides are furnished in the correct size, unlike OEM Suzuki guides that may require machining before they can be installed. Trick bronze guides at a fraction of the cost of stock OEM. Set of 16 bronze valve guides. Also available individually (TOP1300-002). Intake and exhaust guides are the same size.